Been in business for 24 years! Reference is how I keep my business growing and moving forward. Give us the opportunity to beautify and protect your investment! I am a local home-improvement contractor love my work . All ways like to see the surprise face on my costumer face after my work. 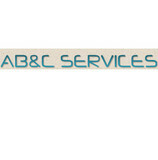 AB&C Services Building & Property Maintenance has been serving the San Francisco Bay Area since 2005. Our services have included care at a variety of facilities, many of them large to significant capacity. We are a fully Licensed & Insured Company. Accredited Members of the Burlingame Chamber of Commerce, ACHP Association of Certified Handyman Professionals and BASMAA (Bay Area Stormwater Management Agencies Association). When it comes to Plumbing Repairs, HVAC Installation and Air Conditioning Installation, no one compares to KC Home Services. With years of combined experience, KC Home Services has worked hard to build the trust of our clients in Santa Rosa, Windsor and Petaluma and beyond. Visit our website to learn more. Or better yet, click the link and call us today! When it comes to Handyman, Repair and Remodeler, no one compares to Big Al's Handyman. With years of combined experience, Big Al's Handyman has worked hard to build the trust of our clients in Fremont, Newark and Hayward and beyond. Visit our website to learn more. Or better yet, click the link and call us today! I am a Berkeley-based handyman providing repair and small project work. Free consultation and advice. Written bids on request. Polite, courteous service and careful, cost-effective work. Your satisfaction is important to me since I want you to be calling me again and again. I'm a Civil Engineering graduate and got my first real tool box at age 7, and have been making and fixing things ever since. 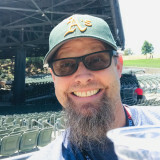 After a long stint in software, I began to not enjoy my work, nor the culture, had my "Office Space" moment, and like Peter, decided to do something that will make me happy, doing what I have always done for friends and family. I am fortunate that I can now do something I really enjoy, putting my skills to work to resolve YOUR household problems. Gary's Home Repair & Handyman Service is a handyman servicing Walnut Creek, CA and surrounding areas. Regardless of how often you, as a homeowner, need assistance with a quick repair or a renovation project in your home, there are just some things with which you can’t afford to take any chances. If you want to avoid spending your free time and often the wrong amount of money on what a professional can do in a much more timely and efficient matter, than you need the help of a handyman company. Here, at AAR Handyman Services, we have years of experience in the different types of home repair jobs and are happy to tell you that you have come to the right place! What do you do when that annoying property repair pops up? 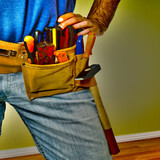 Who do you call when you are looking for any type of handyman and construction services? You call ML Construction, of course! We have years of experience necessary to have your project completed quickly and on budget. There is no aspect of handyman services that we are not set up to handle. We do it all - Big or small! !